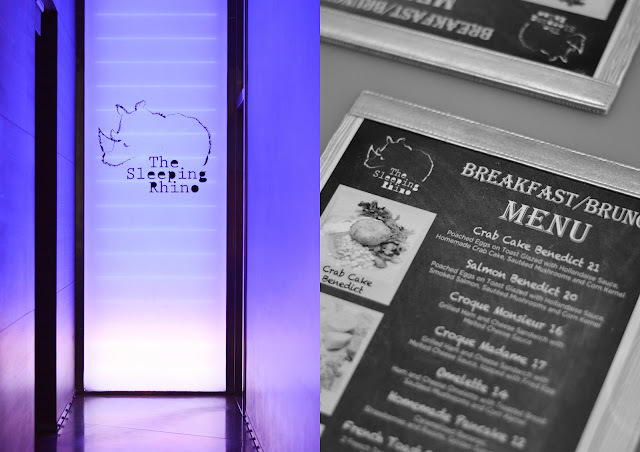 two weeks ago, marc and i popped by the sleeping rhino for food tasting. 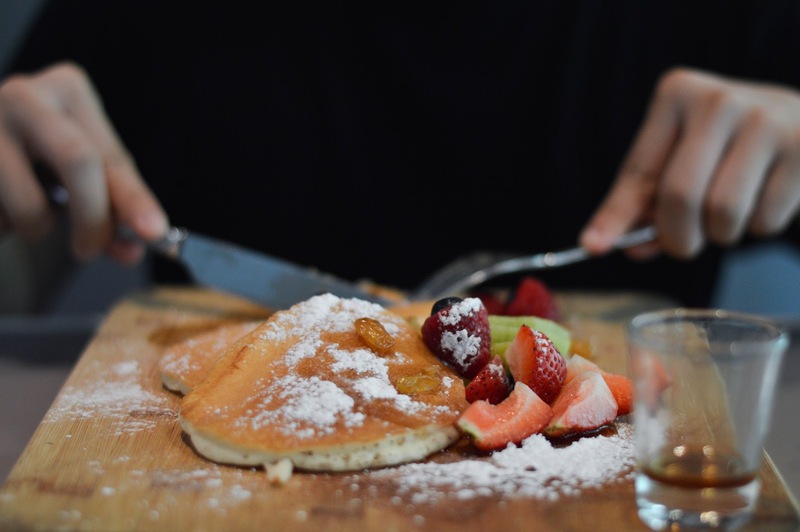 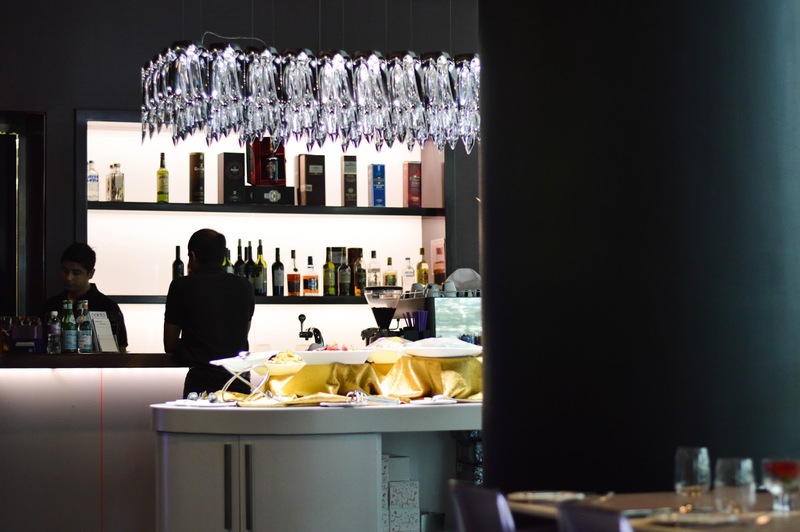 located at the first level of klapsons the boutique hotel, the sleeping rhino offers a concise brunch menu for breakfast lovers. 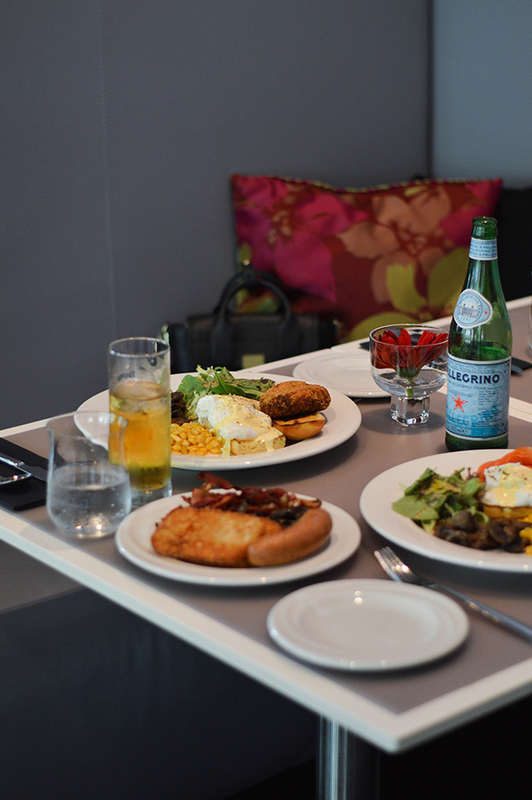 we ordered the crab cake benedict ($21), salmon benedict ($20) and the homemade pancakes served with fruits ($12). 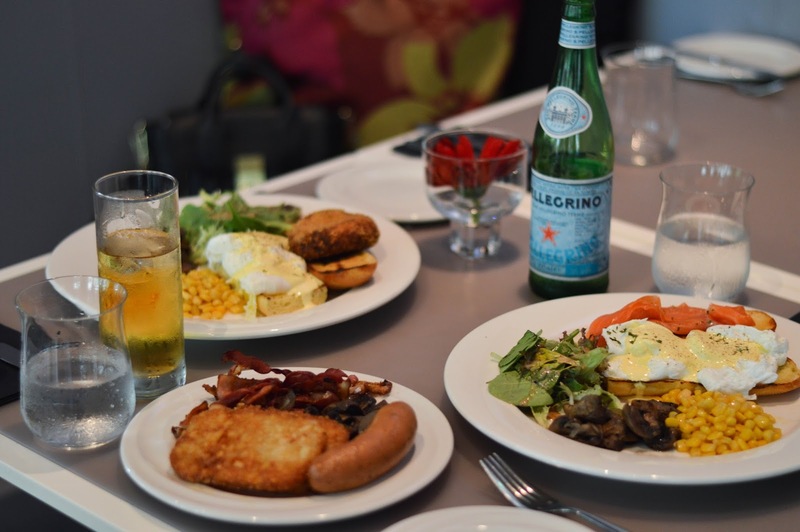 brunch menu is available on weekdays and public holidays 7am to 11 am, weekends 7am to 2pm.